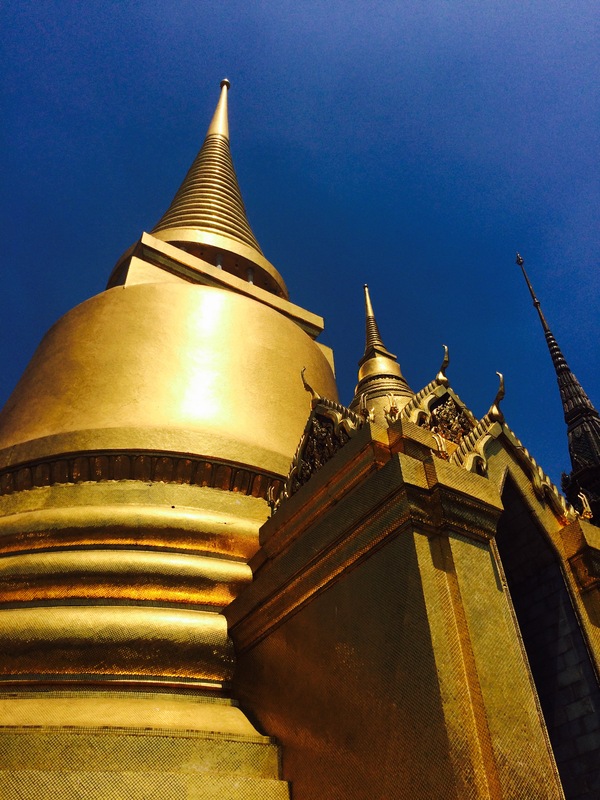 In the heart of the bustling city lies Wat Phra Kaew – the temple of the Emerald Buddha – and the Grand Palace complex. Cited as the most sensational and significant Buddhist temple in Thailand, a throng of international tourists swarm the site from the moment it opens until its 4pm close each day. Once you have literally fought your way past coach loads of tour groups, a sea of parasols protecting the fair skinned from the heat, and the army of aggressive selfie takers (by now synonymous with the big attractions of Bangkok!) – it is truly breath taking. The complex dates to 1782 when King Rama I ascended the throne as founder of the Chakri Dynasty and remained the royal home until 1925. It is not a single structure, but a vast site spanning 218,400 square metres and houses palatial buildings as well as administrative offices including the country’s war ministry, state departments, and mint. 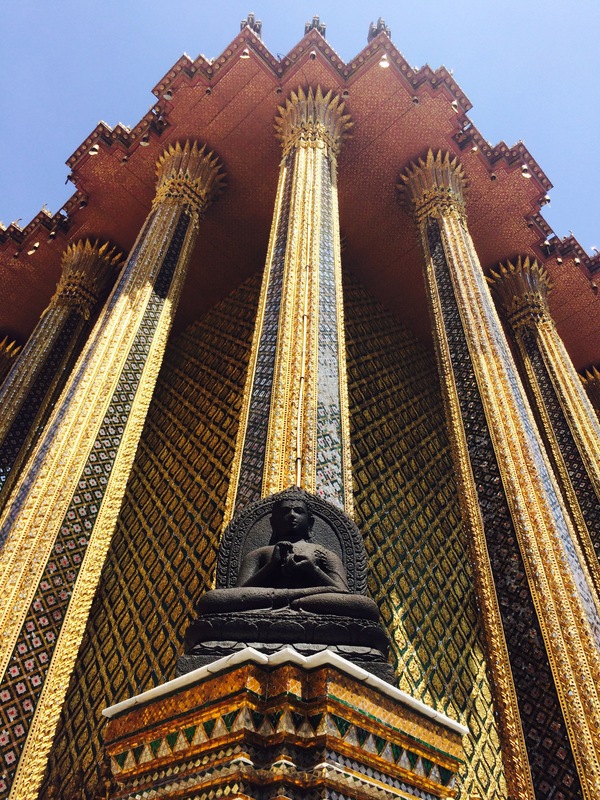 A strict modest dress code is enforced throughout the site, with additional measures such as the removal of shoes to enter certain buildings such as the Royal Chapel or ‘Ubosoth’ of the Emerald Buddha which is stunningly carved from a single piece of jade. 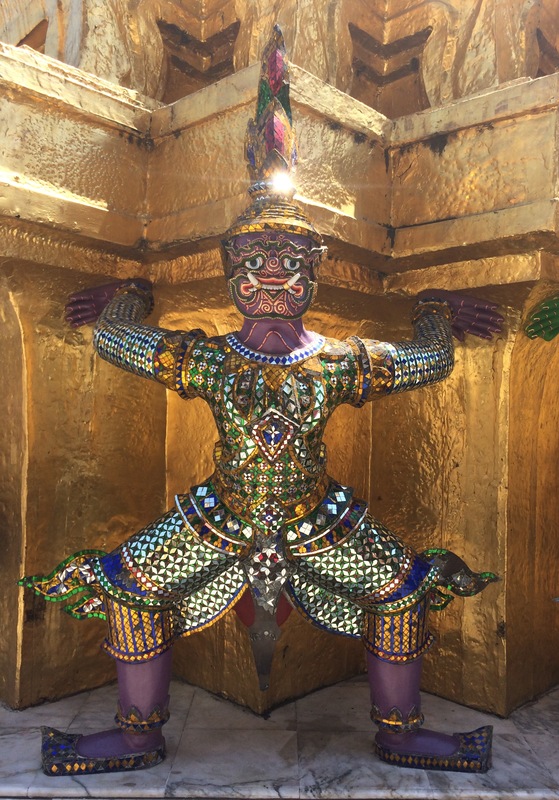 Enormous gold domes, tiled stupas, intricately carved columns, mythical gold leaf figures, animal and anthropomorphic statues, phenomenal use of precious stones and rich mural paintings all vie for your attention, and a beautiful hand carved stone miniature of the complex helps orientate you. 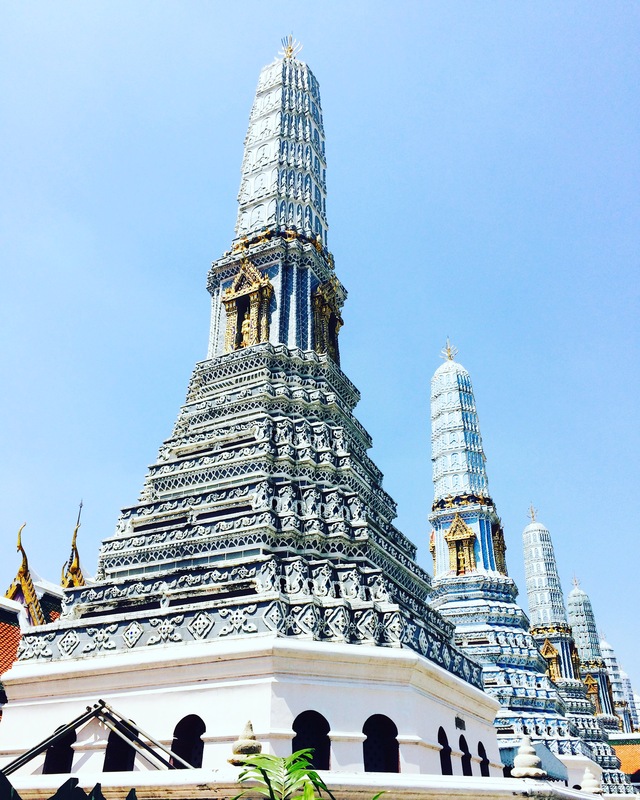 The site also contains a small museum displaying original architectural elements, Buddha statues, Chinese figurines, a mother of pearl seating platform dating to King Rama I, and even elephant bones. Inevitably a site of this date and magnitude will have undergone numerous renovations and repairs, however viewing so much original material in the museum did leave me questioning how authentic the buildings are today.